Analytics is a journey and the questions you are trying to answer are your guide. Connect the dots, see the big picture. We know first-hand that an institution needs to be able to answer many questions. Different questions require different techniques, from descriptive to diagnostic to predictive. Descriptive and diagnostic analyses serve as the foundation for effective predictive analytics. Walk through our approach to tackling common challenges leveraging a variety of techniques. What are the opportunities to increase enrollment yield? What are my historical trends in demand (inquiries, prospective students and applications) over the last 5 Fall semesters? 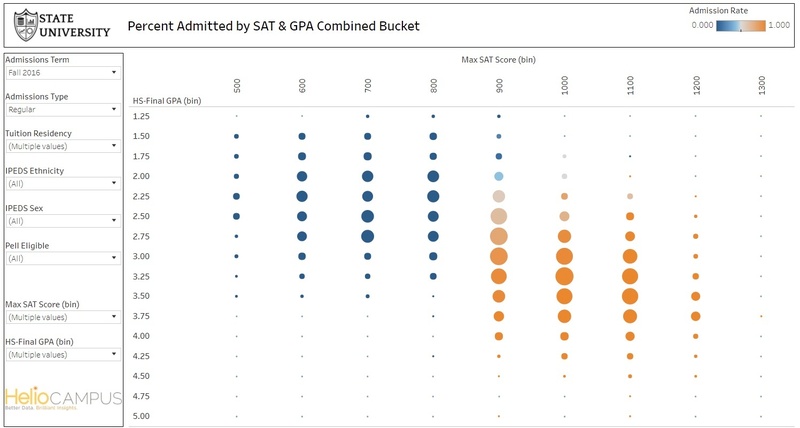 Which variables correlate most significantly with enrollment (students who apply, deposit, and attend)? What is the likelihood of every admitted student to enroll? What is the probability of hitting our desired enrollment target? 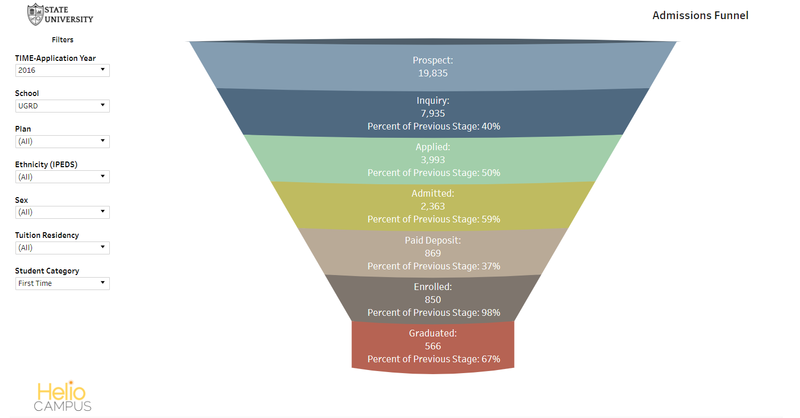 Which aid package will most improve admissions yield and year-over-year retention? What is the trend of my financial aid award dollars and my discount rate? 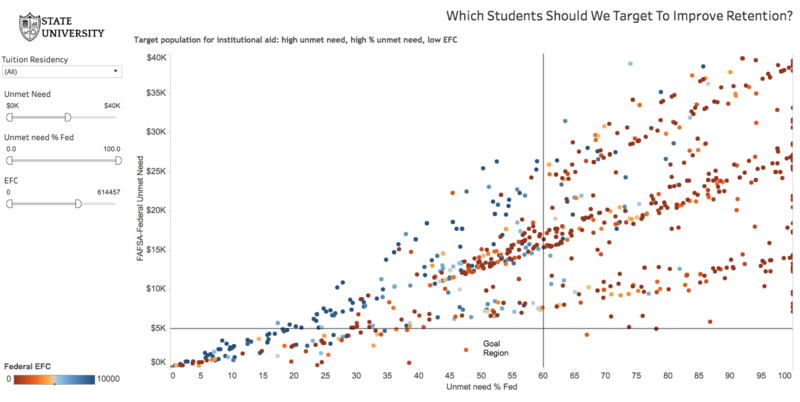 Which aid amounts and unmet need correlate with enrollment and retention? How do I modify my financial aid strategy to maximize yield? What is the recommended aid award for each admitted student? How will increasing admissions selectivity affect our student population? What is the academic profile, SAT and GPA, of your admitted and accepted students? Is there a material difference? If we change selectivity, how does it impact the composition of the student body? How would changing selectivity impact fiscal year budget and tuition revenues? What will future yield and forecasted tuition revenues look like if we implement new admissions standards?